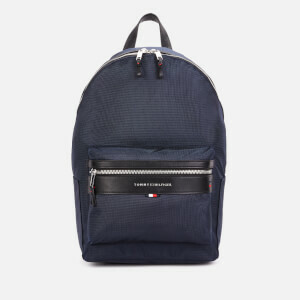 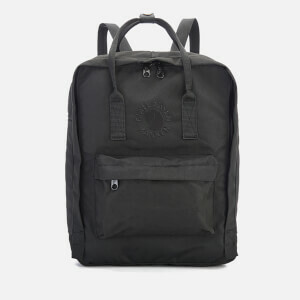 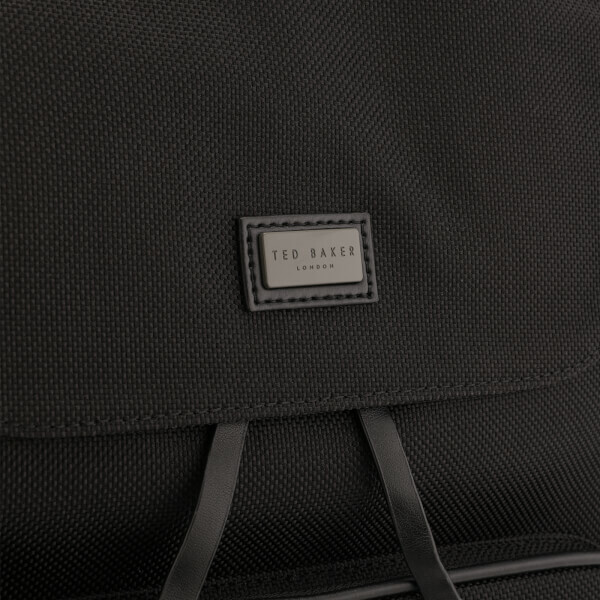 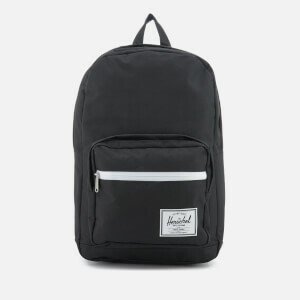 Large black backpack from quintessentially British fashion label, Ted Baker’s men’s accessories collection. 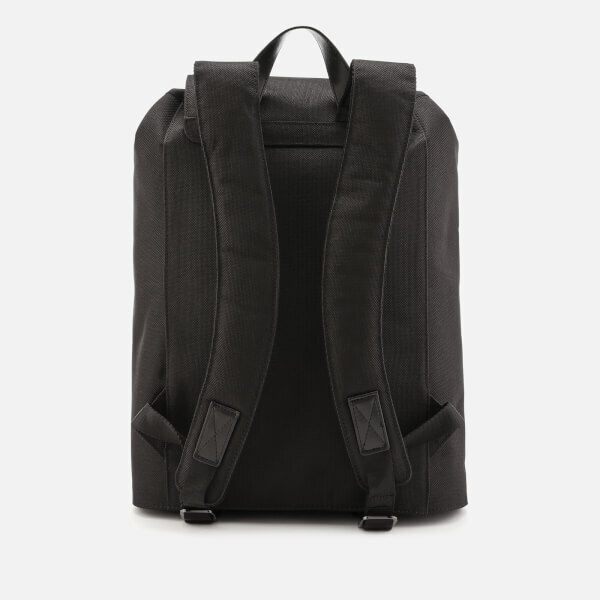 Crafted from durable textured nylon with tonal leather trims, the ‘Llewyn’ rucksack showcases a north-south design with a popper-fastened top flap for added security. 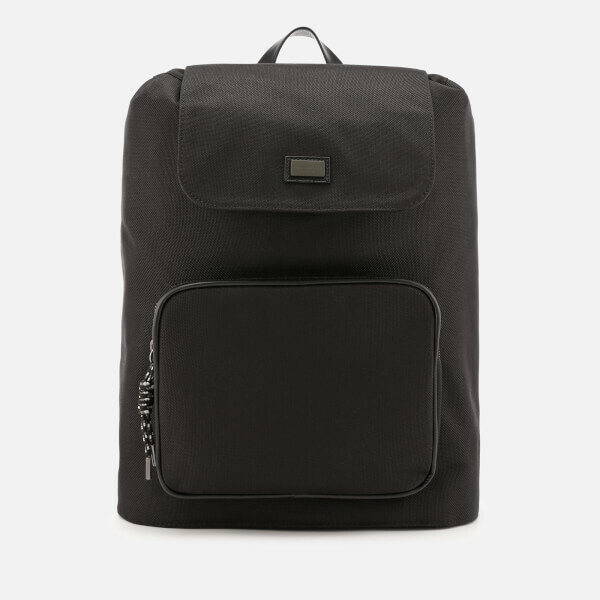 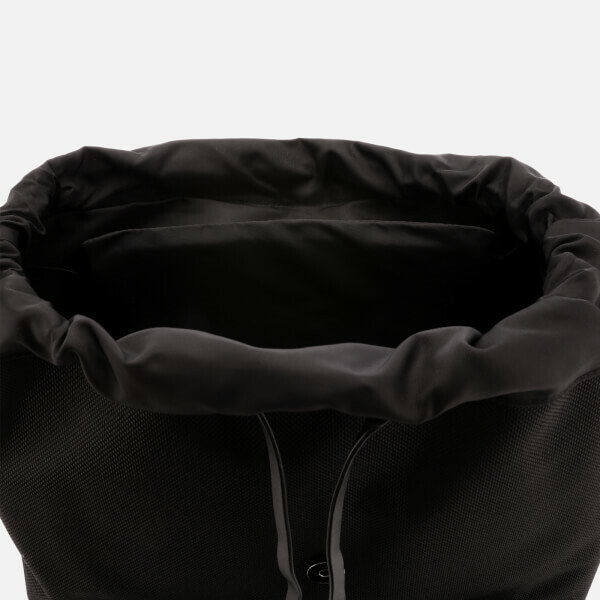 This lifts to reveal a drawcord opening to access the bag’s main compartment, which houses multiple pockets within, including a padded laptop sleeve. 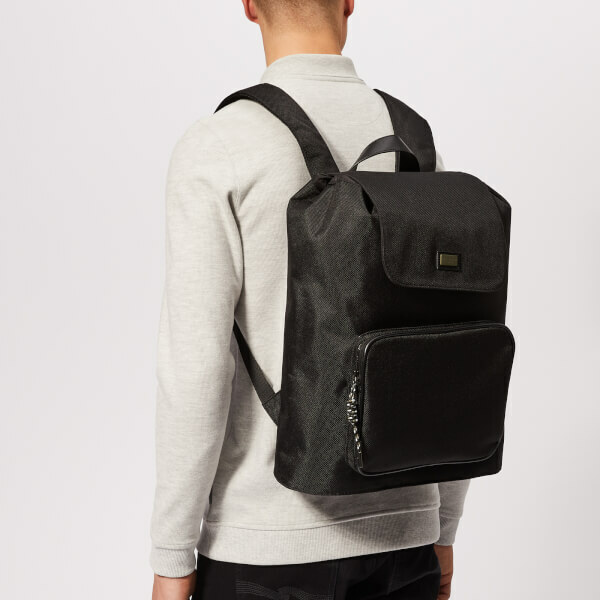 A front external zip pocket offers additional storage for essentials. 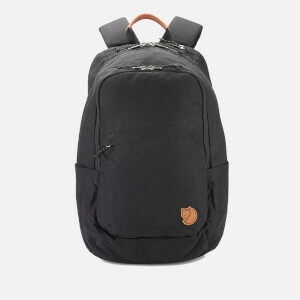 Transported via a leather top loop or adjustable, cushioned shoulder straps and complete with an embossed logo badge stitched on the front flap.